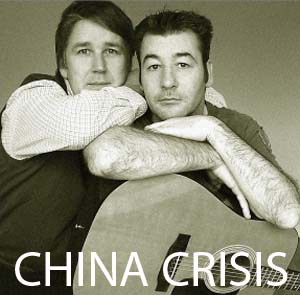 China Crisis is an English pop/rock band. They were formed in 1979 in Kirkby, near Liverpool, Merseyside with a core of vocalist/keyboardist Gary Daly and guitarist Eddie Lundon. China Crisis were originally assimilated in the batch of new wave Liverpool acts of the early 1980s, led by OMD and also including The Teardrop Explodes, A Flock of Seagulls and Frankie Goes to Hollywood. China Crisis had success in the United Kingdom in the 1980s with five Top 40 singles and three Top 40 albums, as well as commercial success in Western Europe, Australia and the Americas.